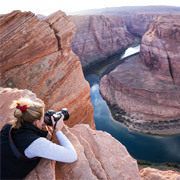 Perfect landscape photography is not a cake walk; lot of effort goes into the aperture for that perfect shot. Clicking shutter button is the culmination of a whole creative effort, which includes adjusting aperture, shutter speed and ISO. Therefore, it's important to be familiar with some landscape photography tricks and techniques to get the desired WOW effect in your images. Let's have a look at 8 key landscape photography tips / techniques that can help you make your landscape pictures more stunning and captivating. Once you mark your location for the shot, do not just click it from a conventional angle, instead walk around and maybe go for unusual and least-tried angles to capture that unique shot. Once you decide on the location and angle, do wait for the best time of the day. Generally most photographers prefer clicking during golden time (dusk or dawn) where the light is at its intoxicating best. However, it's advisable to be always prepared to click; as you never know when nature is at its best, so keep your aperture open and ready. Do not make your viewers look around your pictures searching for something or guessing on the primary focal point. Having a primary focal point or a key foreground is important for a landscape image as well. It gives viewers a point to focus on and appreciate the image. Also, remember that the background should supplement the foreground, this makes for a synchronous and smooth viewing. Also, remember not to have multiple focal points in the picture, as it dilutes attention. The area in-front and behind the object of your focus is known as the 'depth of field' and 'ISO' is the measure of the sensitivity of the film or censor of your digital camera. Landscapes demand greater image depth, which mandates that you maximize the field of depth while photographing landscapes. You can do this by having a smaller aperture, as it gives greater depth to your landscapes. However, this means lesser light goes in, which has to be compensated with longer shutter speed or by increasing your ISO. For greater depths especially for landscape images you need a still camera before you click, so getting a tripod is the key. As smaller aperture mandates longer shutter speeds, and as longer shutter speed mandates the need to hold the camera still for longer than normal, so having a tripod is compulsory. It is also recommended to get a cable or wireless shutter release module to increase the stillness of the camera on the tripod. You can also experiment with lenses; maybe go for fisheye lens for that rounded horizon instead of the regular flat deep picture. Work around with the rule of thirds and look for some creative captures and click that perfect landscape photograph using unconventional landscape techniques. With so many post production photography techniques, advanced software and specialized photo editing services available, making your pictures sharper and stunning is easier. These service providers would remove minor glitches in the photographs and also make required changes as per your instructions to give that extra edge to your pictures. 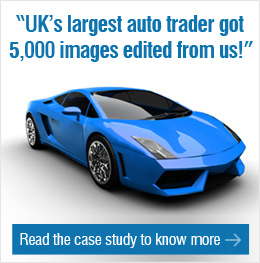 They would also give you recommendations to get the best out of your landscape photographs. Incredible photography is the result of creativity, and creativity isn't bound by conventions and rules. The scope for creativity is unbound and beyond the realm of conventions. So explore, break the rules if needed to create the best. Hope these landscape photography techniques gave you some insights into photographing breathtaking landscapes. Contact us for any photo editing requirements.